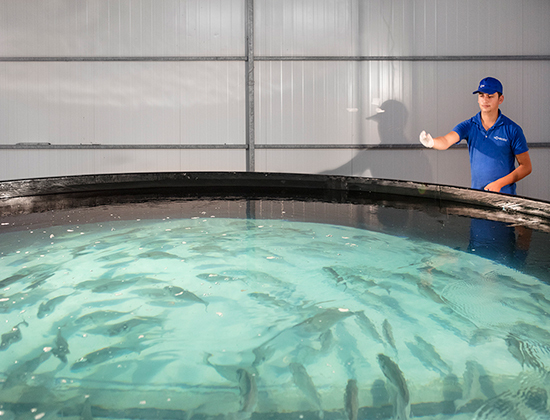 The story of the world’s indispensable flavor Noordzee fishes starts in the Ekinsu hatchery. 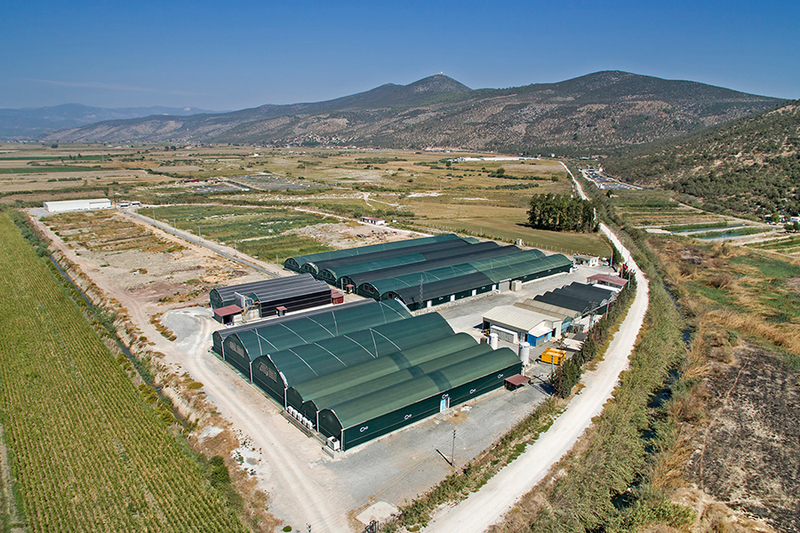 Hatchery is based on a total of 75.000 m2 land with a constructed area of 13.000 m2. 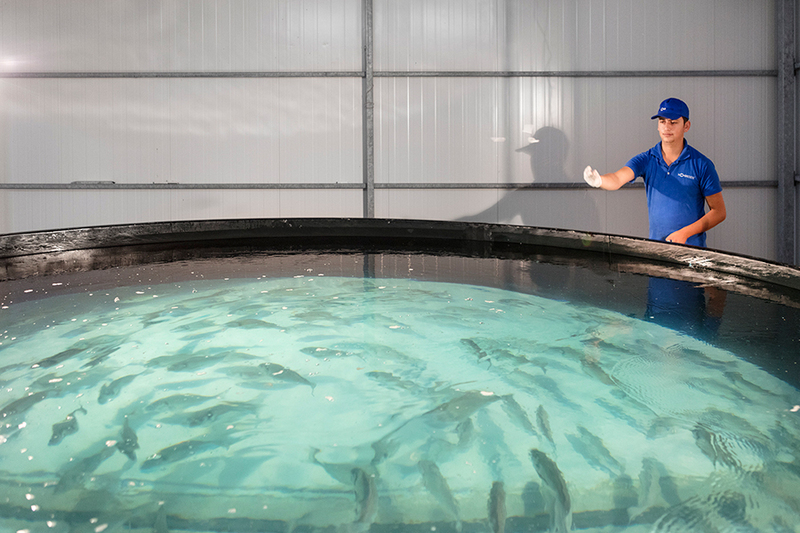 With an annual production of 40 million fish fry, it is one of the most modern hatcheries in Turkey. 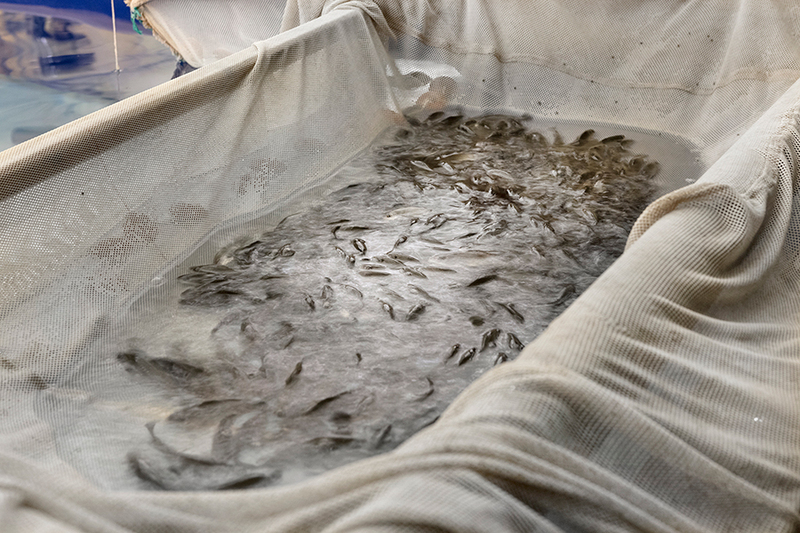 Sea bass, sea bream, stone bass and rainbow trout juveniles are produced. Noordzee’s high quality juveniles are bred from the most special genetics of brood stocks. The facility operates on closed circuit technology. 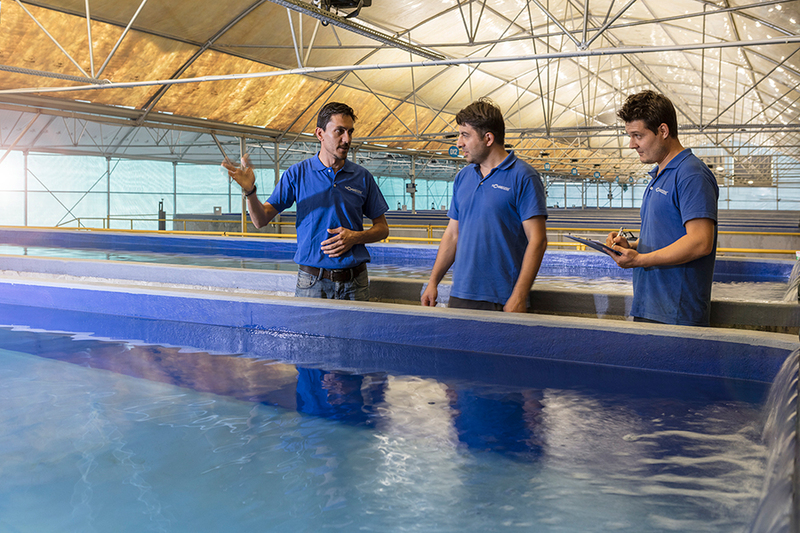 From brood stock until transfer size to the sea, Noordzee manages every step of the juvenile production with a team of experts. 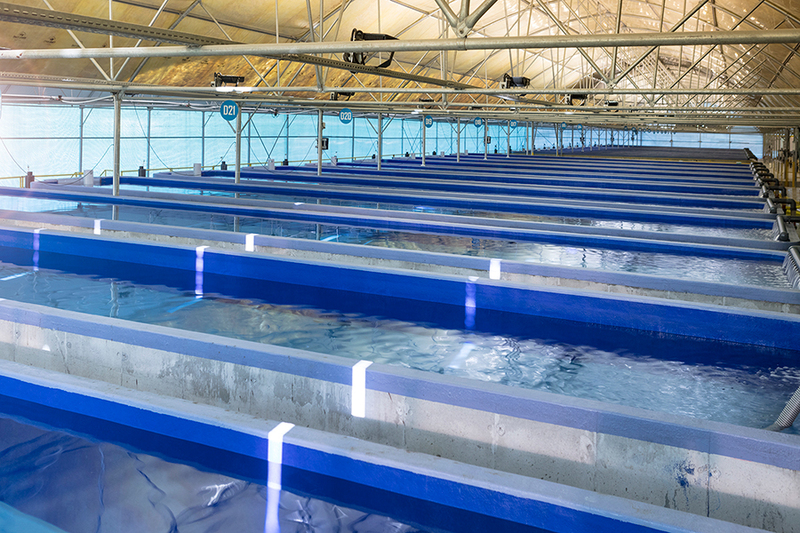 The primary goal of the hatchery is to maintain the superior quality and welfare of the juveniles with following the latest technological developments. 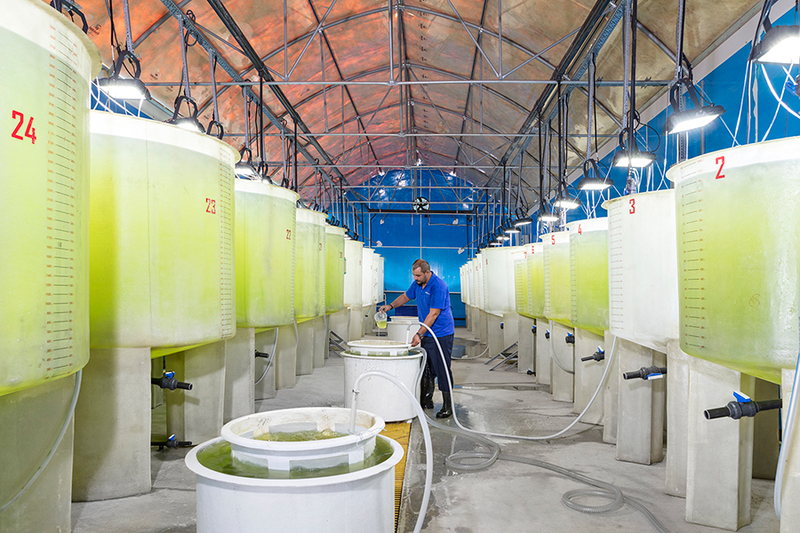 In order to maintain high quality and health of juveniles, constant research and development is conducted by experts in Fish Health in Noordzee Labs.